Sorry, but our pages are currently only available in German. On this page you can find a brief introduction to FAHRGAST and a couple of public-transport related, English-language links. Don't hesitate to contact us if you have any further questions. "FAHRGAST - Die oesterreichische Fahrgastvertretung" is a private association representing the interests of public transport passengers in Austria.  FAHRGAST (which means "passenger") was founded in 1985 and has presently about 700 members. Its main focus is on on the national public transport utilities and on public transport in Tyrol and Eastern Austria, especially Vienna. FAHRGAST has representatives in all Austrian federal states and works together with other Austrian public transport initiatives. Unless stated otherwise, all of the following links point to web sites in English. This is the place to check out if you're coming to Austria as a tourist. Unofficial web site on the Vienna Underground (U-Bahn) and the underground tramway. Includes network diagrams, timetables, and information on tickets and fares. Official Vienna information site run by the city council. Contains a wealth of information for visitors. Highly recommended.